Art has long been recognised as a form of spiritual expression. It is a tangible manifestation of how the artist views the world and is communicated through colours and forms that share his or her experiences of life. Thus, art can be powerful, influential and beneficial in bringing a message across to the audience. Italian artist 2501 or never2501 is one such individual who recognised the potential of art and has used his talents to plant enlightened seeds through the strokes of his brush. The 32-year-old artist has been creating holy images of enlightened beings that not only leave a mark on canvas, paper and street walls but, more importantly, in the minds of his audience. Never2501’s ingenuity, artistic talent and devotion to his Guru, His Eminence Gangchen Rinpoche and the Dharma has created a name for himself as one of the most recognised contemporary artists in the street art scene. He has been invited to major cities around the world such as Rome, Brazil, Miami, Paris, New York, Chicago and Brooklyn to grace their street walls with images that stop you on your path. 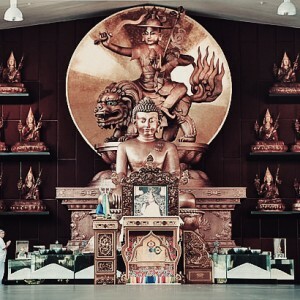 One of his masterpieces is a four-storey high contemporary image of the Protector Dorje Shugden, towering over the local community in Virginia, USA. 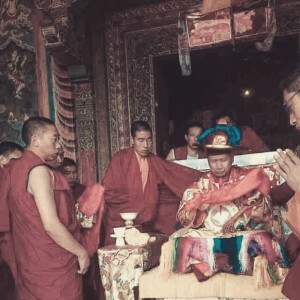 Having been a student of Gangchen Rinpoche for more than 15 years, never2501 began using his talents to plant the seeds of Dorje Shugden through his Guru’s blessings and advice. Below is an extract of an interview with never2501, during which he shares his aspirations to benefit the world through his faith and passion. Q: You are based in Italy? A: I started painting when I was 15 years old. I started with pure graffiti letters on trains. Q: Who inspired you to paint? A: I was inspired directly from city environments and from an old VHS that I saw back in the day. A VHS about TDK, a famous old school posse in Italy. Q: You paint on paper, canvas and street walls. Any other materials? A: I paint on everything… I don’t like limits. Q: How did you develop the line style of painting which is now your trademark? Am I right to say this? A: Yes, the line style is my trade mark and it evolved after a long period of working on patterns in general. Q: Do you have a special name for this contemporary art form? A: I call it new muralism. Q: Are you a full time artist or do you have a day job and do this as freelancing? A: I’ve been a full time artist since 2007. 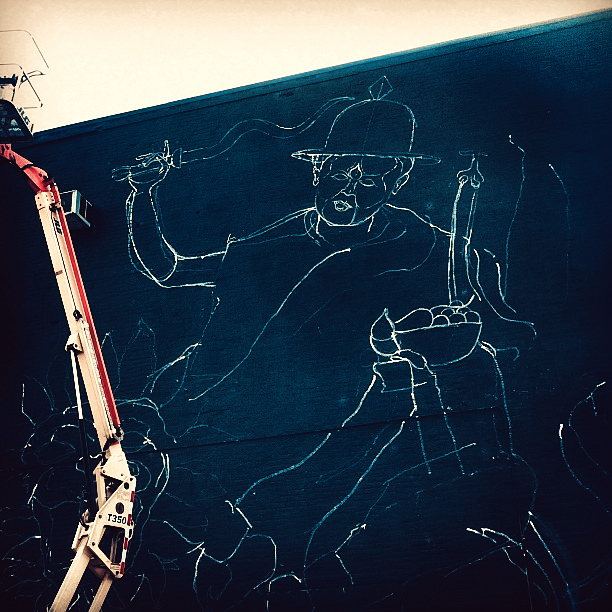 Q: What or who inspired you to paint the Dorje Shugden mural? A: I was inspired directly by Dorje Shugden. Q: Where and when was the Dorje Shugden mural painted and how long did it take you to paint it? A: The Dorje Shugden painting was done in Richmond, Virginia, USA and I was invited to paint several walls for a festival called G40. Q: Any particular reason why you decided to paint Dorje Shugden? 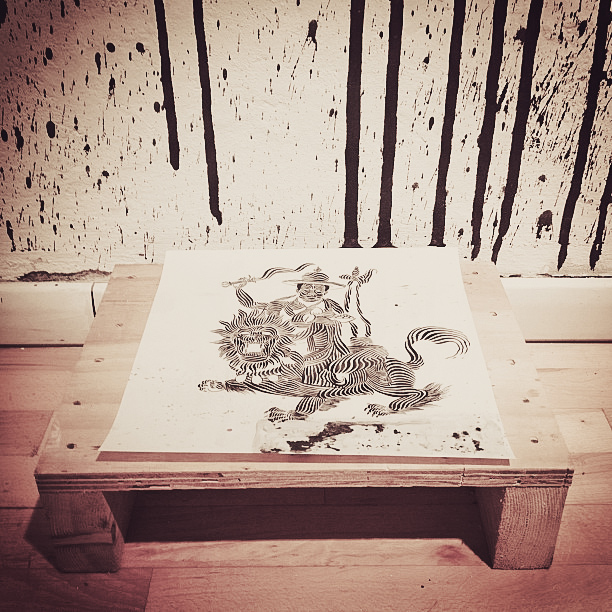 A: It has been a long time that I wanted to paint Dorje Shugden, so I just decided to do it. Q: Are you a Buddhist? Q: Who is your teacher if you don’t mind me asking? A: My teacher is Lama Gangchen. Q: And how long have you been his student? A: I have known him since I was 10 years old more or less, and I became his disciple when I was 16. So right now it has been more than 15 years. Q: What does your Guru say about your work? A: He likes it! I asked him to kind of authorise and give me the approval before I started painting Buddhist divinities, and he likes the idea so I started to do it! Q: What is your goal/purpose/dream? A: Have a happy life and grow as a person. Be free from samsara. Q: Do you have your own art gallery/studio? Website? Q: Where do you see yourself 10 years from now? What do you wish to achieve? A: I don t think of me in 10 years… I think or try to think about myself day by day. The present! This is stunning and creative. Art can be powerful, it goes beyond languages and culture thus is always influential and beneficial in bringing a message to many. This is just such a stunning piece of art work. 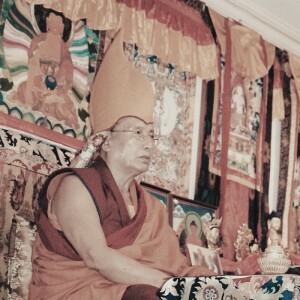 Never2501’s devotion to Lama Gangchen Rinpoche is just amazing. 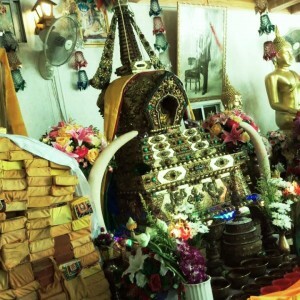 What I really like is that he consulted and seek for blessings every time before he starts drawing a Buddhist deity. It is just so pretty to see such great art form on the streets. It is like modern mixed with traditional. It is such a nice and cool blend. It is just always nice to see students that have followed their Gurus for many years doing beautiful things. Never2501 is just very fortunate to have met such a great lama like Lama Gangchen Rinpoche at the young age of 10. This is such beautiful work of art. I never know Dorje Shugden can be depicted in such an “alternative” form, and yet plant the blessing of Manjushri to people who see the art. People may enjoy the work of art without knowing the meaning behind, and yet the blessings of Manjushri is planted. 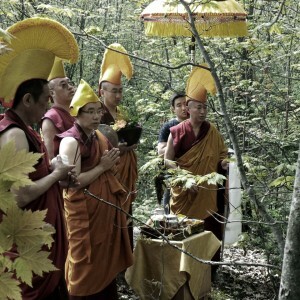 This is such a brilliant way to plant seeds of Dorje Shugden. This is amazing mural done by artist never2501. 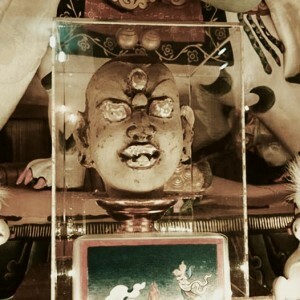 He practises Guru Devotion and uses this creativity so more people would know Dorje Shugden. 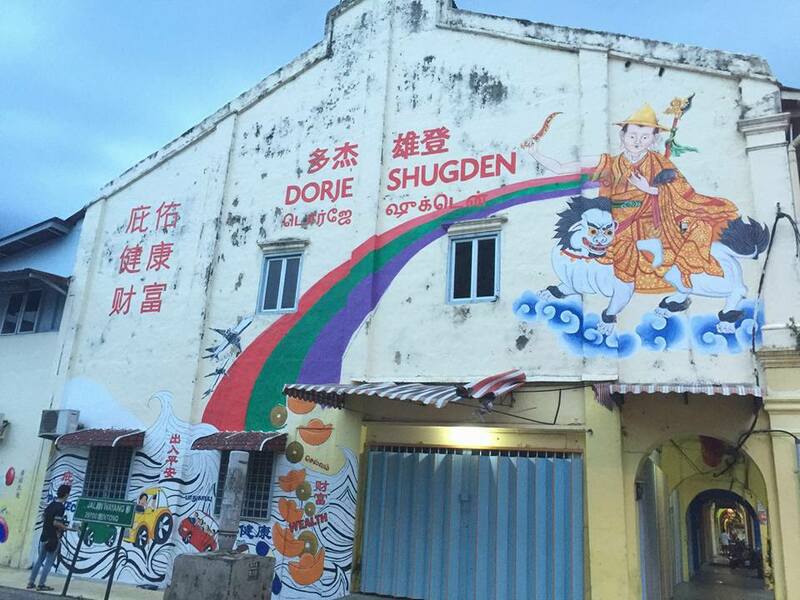 So glad that the people who come across this mural will be planted a seed of Dorje Shugden. The mural and arts were beautifully drawn. 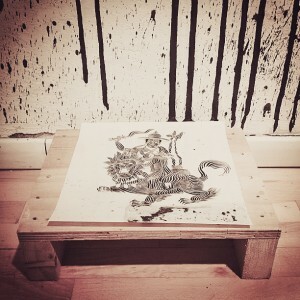 Other than the drawing brought add on beauty to the walls and the areas, with pictures of Dorje Shugden, the environment is blessed and people who look at the arts are imprinted with positive mind. I like how the artist just live in the present. 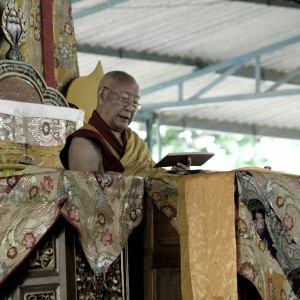 As a student of Lama Gangchen, he has learnt very well to live in the present. He has great talent and doing Buddhism theme artwork, especially Dorje Shugden artwork seems a natural extension of his believe and practice. 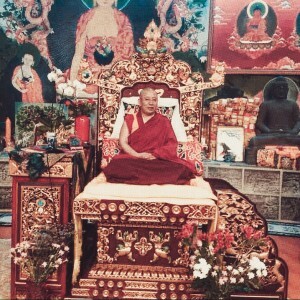 It seems so natural for him to just flow into it and how it was Dorje Shugden himself that inspired Never2501. It is a great way to spread the practice of Dorje Shugden and to give blessings to anyone who sights the painting. May the seeds of the practice be planted in all who sees this and may the artist have merits to continue his work. I like Never2501’s interpretation of Dorje Shugden as it is contemporary and unique, unlike any that I have seen. A good combination of modern techniques with traditional iconography. I find it very refreshing to see someone as talented as Never2501 putting his talents toward good use, planting seeds of Enlightenment and blessings to all who see this mural. One of the things that warms my heart is to read that he seeks his Guru’s permission and blessings before painting any Buddhas. I hope to see more of his Buddhist art adorning the walls. Thank you for sharing this! Such an exceptional style of painting. Beautiful! The people of Richmond, Virginia is blessed to have a Buddha image to grace their street and be blessed to whoever who sees him. This style is modern yet acceptable as not too religious. He does it after getting the blessings of his Guru, Lama Gangchen Rinpoche and this benefits a lot of people and all other sentient beings. His art is amazing. What I love is when someone dedicates part of their work to spirituality and DORJE SHUGDEN. This is what I get from his work style “spiritual contemporary” and its reach to people who sees these murals. 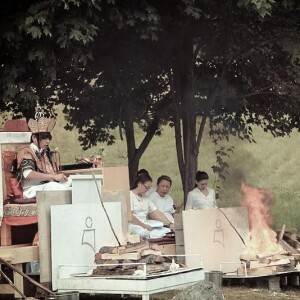 Weaving dharma into everyday life brings so much more meaning and benefits than none at all. Although I am not an artist but I really appreciate such beautiful art. When I first saw it, I thought it was photoshopped to look like real but was I wrong! It made me like and appreciate the mural even more!! It’s amazing! 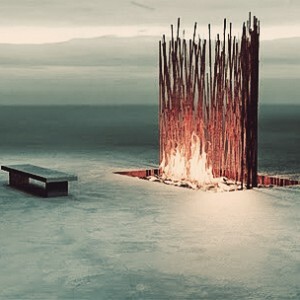 Although such a big piece, it was done with much effort and attention. Imagine how much time was used to do this sacred piece! Thank you never2501 for making such beautiful unique art and sharing/blessing everyone who sees it! I don’t really care too much about the technical difference between street art and graffiti. I have always liked this type of artistic expression. It’s public and its free for all to enjoy. I guess it can be unfair to people who doesn’t like graffiti/street art as it can be an eyesore. 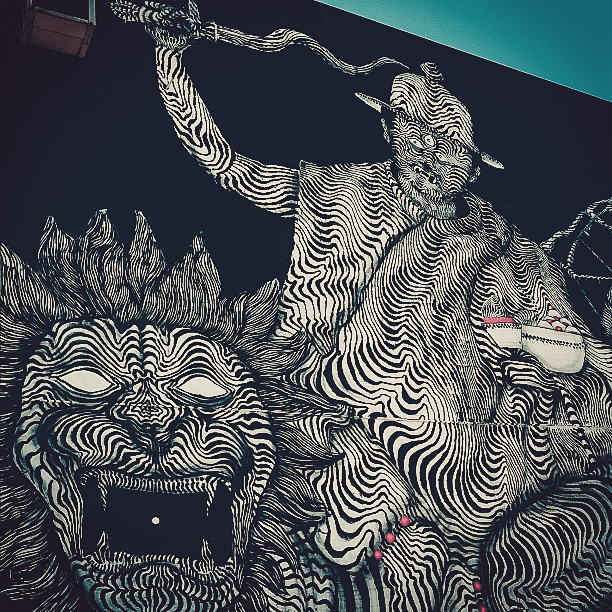 In the context of Buddhism where it is believed to gaze upon any image of Buddha is a blessing, street art is an excellent creative media to spread dharma. It is a good idea that to promote Dorje Shugden at the street. It created imprints in the mind of those people who walk pass and see it. Thank you for the artist, Italian artist 2501 ,who make an easier way for peoples to connect to Dorje Shugden. Personally, I think that never2501 has did a great job on his spiritual path because he is fully utilising his talent, to spread Dharma. It’s definitely a blessing when we are allow to practice Dharma with what we are good with! Thus, if everyone get this point correctly, definitely, sentient beings who are going to be benefited by Dharma are going to be multiply. The artist who drew the Dorje Shugden mural are fantastic.What the good idea way to promoting Dorje Shugden. Hence Dorje Shugden is world peace protector, it blessed all people from different races and culture,to create harmony inter religion.Hope at the future able to see more Dorje Shugden mural at difference places in the world. This is a modern way to draw enligthened beings, and it is truly beneficial to see holy Dorje Shugden, blessing all the people passing by. And this huge and beautiful Thangka has already been to several big cities. Rejoice for the artist and the many beings blessed by Dorje Shugden. This line drawing of Dorje Shugden is beautiful! At four storey high no one would miss it. 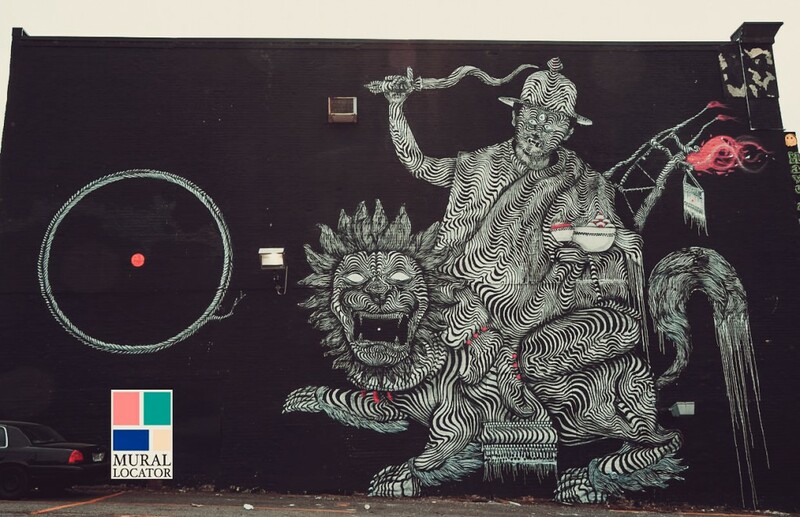 What a great innovative way to advertise Dorje Shugden through mural art. Great devotion to his Lama by the student. I like to see all the Buddha images around the corner of the streets, shops and Buddha images put into interior design, as Buddhist views when we saw Buddha images is like a blessing from the Buddhas. Keep it up your works Never2501..!! What a contemporary and creative way of presenting Dorje Shugden. I like how the lines build the image. It’s abstract yet you can see the main form of Dorje Shugden. This is what I love about pictures. Be it in any type of form or technics as long as it creatively delivery the message to the audience or public. What make this more interesting is through art the essance or blessing of a holy images desiminate to the mass and a lot of people able to be benefitted. What a creative way for dharma to spread. So bless to be able to turn his passion into art and benefit others from there. We all born with certain talents due to our karma and imprint from the past. I am rejoice for never2501 using his talent to spread the teachings of Dorje Shugden. 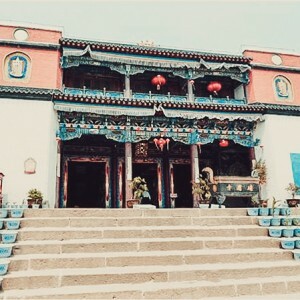 Rejoice for the people who specially benefited and connected with Dorje Shugden by looking at the Holy mural. The area will also be blessed very much due to this huge mural of Dorje Shugden. When Dorjeh Shugden will never be districted by any one not anything because He arise out of compassion. This is an amazing piece of art! It gives a new look on the Buddha while still keeping the essential iconography of the image. Great work! This is very beautiful, using our skill for something so beneficial is far more better than waste it just for self gain. 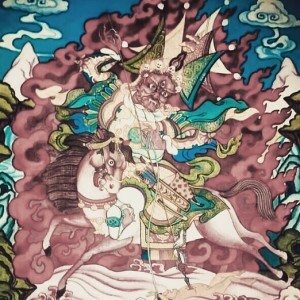 With this image of Dorje Shugden, he is able to bless anyone who sees him and with such huge drawing, everyone can see him when passing by, directly and indirectly, all are being blessed by him. I like what he says at the last question, we don’t think too much about the future, we only think about now, the present. I have read this some where. Because future has not arrive yet, when we keep worrying about the future, we missed everything that happened today, then we are not living our life already, so we must focus and live our life fullest everyday, then our better future will eventually fall in place. 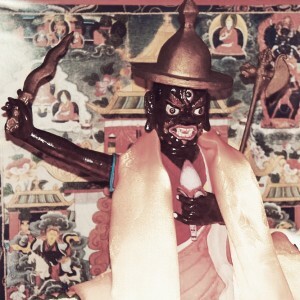 The this image of Dorje Shugden! It is modern, artistic and respects the iconography of an enlightened being by accurately illustrating Him. It is a creative approach to spread the blessings of Dorje Shugden to the public who walks pass him. Holy images keep a space calm, peaceful and harmonious. I rejoice that the Dharma is flourishing in “new” societies in the Western hemisphere and that these societies are active in finding ways to u[hold the Dharma in our rapidly changing time. May Dorje Shugden Shugdens bring protection, joy and clarity to all around him. This is a very rare art work in line style as compared to normal colourful mural. From this art work, we can see Never2501 have strong faith in his guru, H.E. 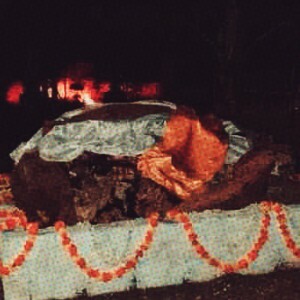 Gangchen Rinpoche and also Dorje Shugden. 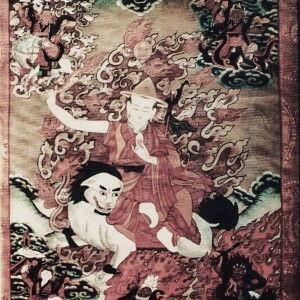 Never2501 have many other choices for the painting but he chose to paint Dorje Shugden. 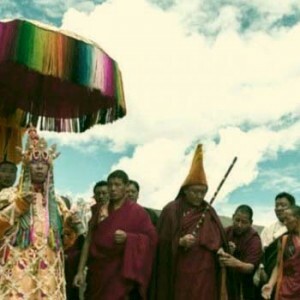 One of the reasons was because he recognized that he was inspired directly by Dorje Shugden. Rejoice to Never2501 because he has used his talents to plant the seeds of Dorje Shugden through his Guru’s blessings and advice by painting this beautiful art work in USA. Hope to see more of his art works in the future. This is very inspiring. Art has no limits and boundary, it crosses languages, cultures, religious, continent…..
Never2501 use his talent to benefit many people by introducing Dorje Shugden to people all over the world. 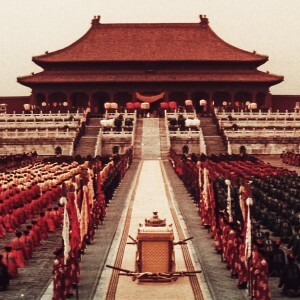 May never2501 continue to flourish his talent in introducing Dorje Shugden and plant a seed to all sentient being to have a connection with The Lord Protector. Never2501 is really good. Love the line drawings. As Vinnie said, it’s inspiring that he consults and seeks blessings from Gangchen Rinpoche before a project. I’m sure the locals of where he painted the paintings do appreciate beautiful art. And, I think it will make an impression either way and leave an imprint on the beholder. Wish there are more of his paintings around. 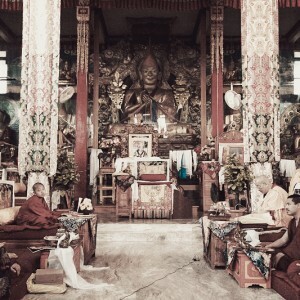 Rejoice for Italian artist 2501 who is also disciple of Gangchen Rinpoche. With the blessing of his Guru he is able to use his talent for a greater cause that benefits other. It is a virtuous act when artist uses his talents to produce holy images. By creating Buddha images that sentient beings can see, this benefits sentient beings by planting seeds into their mind for gaining realizations, liberations and enlightenment. I hope more artists produce Dorje Shugden mural so that more sentient beings are blessed, guided and protected by the enlightened world peace Dorje Shugden, the emanation of Buddha of Wisdom.